Many people usually love to look for unique places to stay in Ubud, but what are the bests? One of the most important parts of having a holiday vacation is where you will stay to lessen your tiredness. There are so many types and kind of hotels you can choose in Ubud, and also tons of unique places to stay when in Bali Island for you who are looking for a different vibe! From so many hotels around Ubud, there are actually some hotels which have their unique characteristic which attract people easily to come over. And if you are interested in unique kinds of stuff, the question is, do you know what hotels are those? So, just check the list out to add these hotels into your consideration! 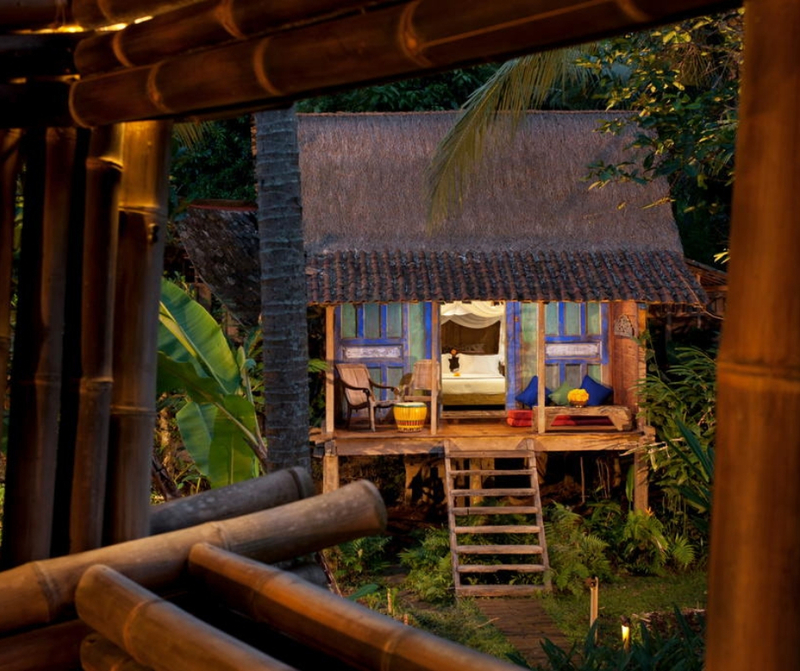 The first of the list is one of the most exotic hotels in Bali, Udang House Bambu Indah Ubud. Feel the unusual yet unique experience of sleeping in this hotel. Why? The first thing is that udang in Indonesian means shrimp. And the correlation between shrimp and the uniqueness of this hotel is that you will be sleeping above a pond full of shrimp! But of course, there are thick glass panel as your floor and illuminated with beautiful lighting, so that you can watch the pond directly from your room. The concept of this hotel itself is a fisherman village. So do not get to shock if you found any kinds of stuff related to the fisherman! And also wood is the main material for every single part of the room which makes the traditional feeling pops out. That is what makes this hotel is really unique. This one cottage is a unique yet still affordable for you. With the traditional concept, your sleeping experience here will make you feel like you are one of the local people in Ubud. Staying in a full-wooden room with traditional Indonesian furniture will surely make you feel that way. Even some of the bed frame is made of wood and the rest of them are from bamboo. Moreover, the traditional sleeping net will protect you from mosquitos. Surely these things make the traditional feeling even stronger. But do not worry because the coziness is also on point! This place is not just some ordinary unique places to stay in Bali, but also one of the most beautiful places to stay in Bali. Not just impressive, but this place is also the most eco-friendly place to stay you could ever see on the whole island! 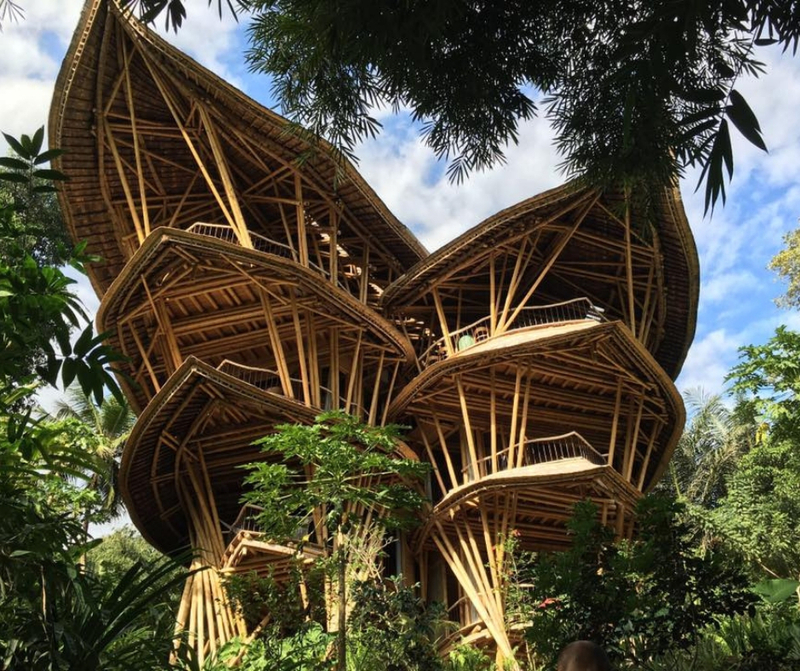 Almost a hundred percent of the building is made from bamboo, not just aesthetically pleasing to see, but also make your comfort in every way possible. With the chilly mountain breeze, this place will make you feel like you are living in the middle of the bamboo forest because it is just that amazing you know. Sharma Springs Bamboo House will clearly be your best memory for staying your night in a hotel. Sandat Glamping Tents Ubud is a unique hotel in Indonesia you could ever ask. Why a tent? Because the concept of this hotel is camping, but as in style and glamorous way of camping. The vibe you will get from this hotel is like you are blending with nature, even still the place where will you be staying is a luxurious room with wonderfully architecture and furniture around your room. 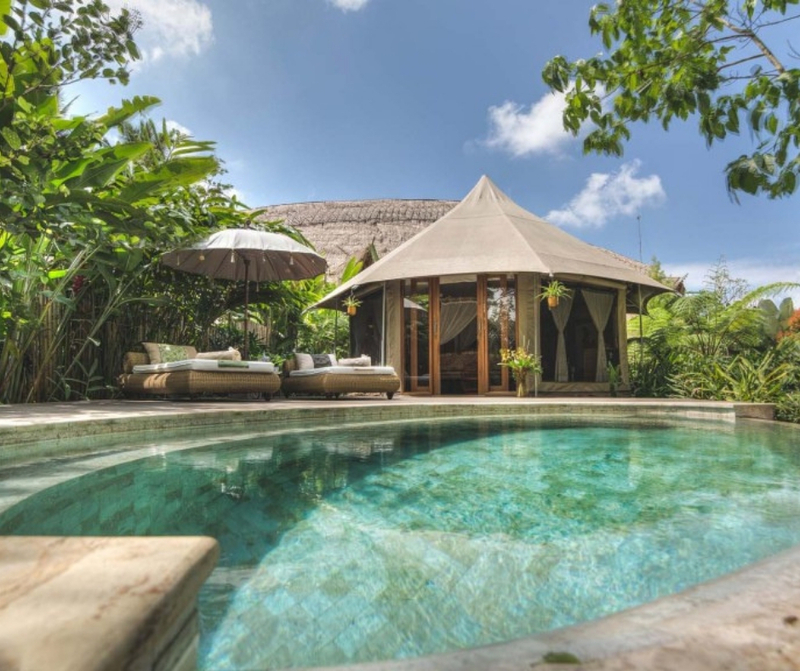 Located near the open nature of Ubud makes your stay in Sandar Glamping feel more private, serene yet still luxurious. Sandat Glamping is your best choice to make your holiday even more perfect. Another place to stay which will make you feel like you are staying in the middle of a jungle is Villa Pererepan Ubud. This place location is along the Petanu River and lush jungle and garden around which makes the view around you are undeniably extraordinary. 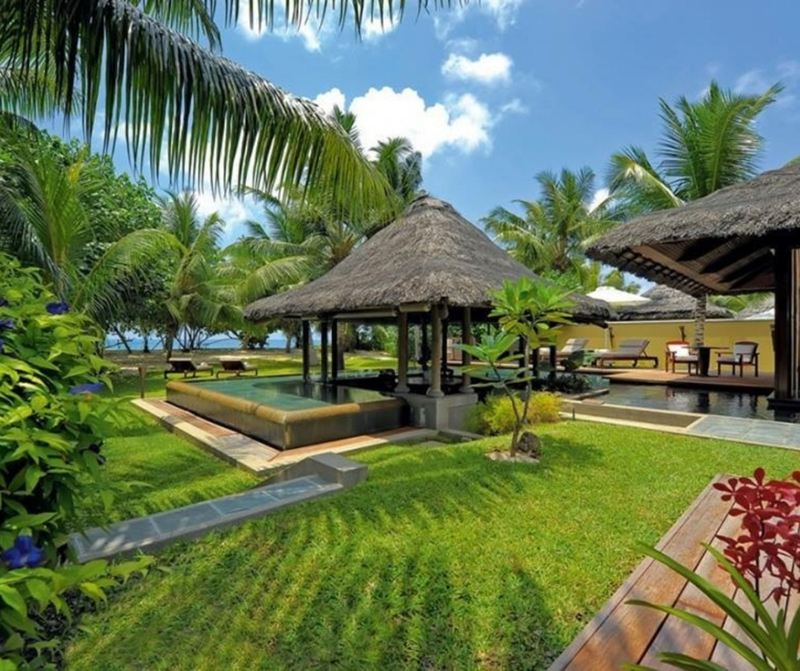 With the main construction made from bamboo makes this villa is one of the real eco-villas you could ever see. With dome-like architecture, this villa will give you a good impression the very first time you walk your feet here. But, this villa is not recommended for any of you who feel insecure if you are sleeping near an open is like a jungle.